Me: Have you noticed that your relationship with your cell phone has changed since you went from iPhone 3Gs to the Android? John: Yeah, actually it has. 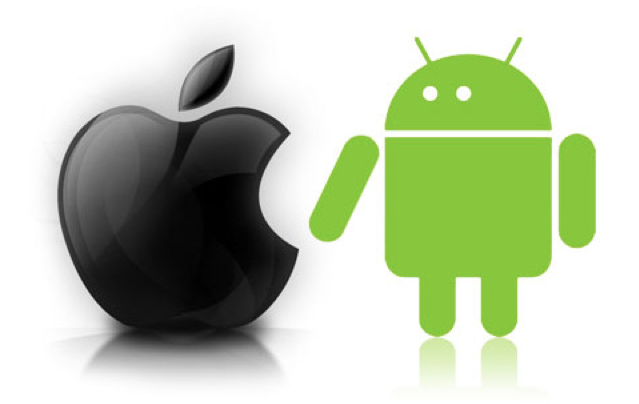 Me: I treated my iPhone sort of like a mini computer, and now I seem to be treating my Android more like a phone. John: That’s really interesting. I actually seem to be treating my Android more like a computer, and I treated my iPhone more like a friend. … More like a friend. What a great way to describe it. And he was absolutely right. The interesting dilemma I faced was that the Android technology was fine. It’s adequate. It’s a replacement that “will do”. The iPhone experience was something that made you do things better. You didn’t have to consider the “how” – it just understood what you wanted to do and helped you make things happen… sort of like an old friend. I still haven’t come to a conclusion yet, but I have been forced to reconsider whether or not the compromise of terrible phone reception was worth having “a good friend”. Because I’m treating my Android more like a phone, I’m finding myself to be much more engaged in the physical present. This was an unanticipated nice surprise, which I’m sure my friends are also thankful for (instead of looking stuff up all the time at dinner, because I could). You know what I love about the T-Mobile service? You can opt to hang up the phone and not lose your line, and they call you when it’s your turn. That’s a killer feature! Interesting take on the “friendship” thing. For me, using the iPhone is much more intuitive – I didn’t have to change anything to make it work for me. With the Vibrant, I had to change lots of settings. Apple has done a great job of creating products that are intuitive to the masses… that’s an accomplishment that seems impossible for anyone and they seem to have done it well. Sometimes, when products are too easily modified, they become a mesh of everyone’s ideas with no clear vision. Even your friends have to take a stand eventually, and if they’re still your friends after that, then it perhaps was for your own good, no? – The processing power is slow – seems like it can’t actually handle what it’s being asked to do. Moving from screen to screen and program to program is slow and it goes into windows “not responding” mode frequently because it has to think. Or, could it be that your skill level with the iPhone when you switched was higher than with the Samsung? As you grow more skilled at it, might you begin to treat it like a friend? BTW, as a T-Mobile customer, you’re going to love their customer service. I’ve had Blackberry issues and every time I ended my call with T-Mobile or RIM (via a warm transfer) I was pleased at the outcome. I love my Vibrant. Once I applied the One Click Lag Fix, my phone has rocked. It’ll put any iPhone to shame. I feel as though the Android platform is so much more open to user feedback, as opposed to the iPhone who only sees a change when Steve Jobs wants it to happen. If we’re sticking to the friendship analogy, who would be the better friend in the long run? The one who listens and adapts to you and your personality, or the one that’s stubborn and does things their own way until they, and they alone, have decided that it’s time for a change?